Join us in Amsterdam, Netherlands for Navigate 2020 EMEA. This event offers unique content to help improve your business strategies, increase sales and marketing efforts, and gain a deeper understanding of Continuum products and services. This event will include content presented by industry experts, leading third-party vendors, and senior members of the Continuum team. Attendees will have the opportunity to learn from sales industry experts, network with peers, and connect with the Continuum team. Paul is Continuum’s VP of International Sales based in the Thames Valley UK. With over 23 years of experience in the technology industry he builds great teams focused on growing new markets and driving revenue growth within SaaS, Cloud, IT Managed Services and Software Solutions. Prior to joining Continuum, Paul built a multi-million pound IT Managed Services organisation which after 12 successful years, was acquired by a leading European telecoms provider. He was then Head of Managed IT Services at IP Integration Group and served as European Sales Director at Business Relations International, an enterprise management software organisation, where he successfully built a European distribution channel. Michael George has more than 25 years of experience creating, building and leading world-class technology companies. He has served as CEO since Continuum was formed in 2011, and ensures the company provides its thousands of MSP partners with the platform and tools they need to thrive in today’s $241 billion managed IT services market. Michael has previously served as CEO at OATSystems, Bowstreet and Interlynx, and has held executive leadership positions at TALX Corporation and DEKA Corporation. He is also the founder and a member of the Board of Directors for the Continuum Veterans Foundation, a nonprofit organization which provides financial support to local and national charities that focus on helping veterans find jobs in IT. Michael is a frequent keynote speaker at industry events including ITEX, CMIT, Technology Assurance Group (TAG), Business Technology Association (BTA) and Navigate by Continuum, among other Michael is a graduate of Suffolk University where he served as a Trustee for 10 years and completed MIT's Birthing of Giants Executive MBA Program. 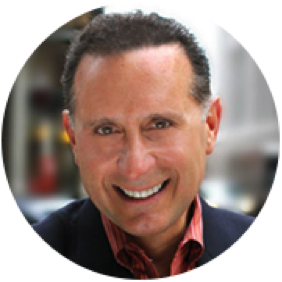 Bob Kocis is Continuum’s Chief Revenue Officer, and is responsible for Continuum’s strategic go-to-market, global expansion and partner success efforts. Bob brings more than 20 years of experience in global sales leadership and business management to Continuum, and before joining the company he served as Vice President of Worldwide Sales and Customer Excellence at ANSY. Bob also held a number of sales leadership positions over a 16-year period at PTC, Inc., a U.S.-based software company specializing in 3D design software, product lifecycle management and service management solutions. He previously served as Senior Divisional Vice President of Asia Pacific Sales and Distribution, where he oversaw PTC’s operations across Asia. Prior to that, Bob was responsible for creating and leading PTC’s SMB Channel Advantage Program.